It might be this weird arrested development that makes me a bit romantic over the suburban chain store. In an effort to further lessen the divide between patriotism and capitalism, I present to you memories of a few stores that shuffled off the turnpikes during this decade. (B. Dalton’s middlebrow book offerings won’t be leaving this nation’s malls until early 2010.) The stories share a lot of parallels; most collapsed under the weight of their own debts, which were racked up during pie-in-the-sky expansion efforts during a bubblicious period that many thought would never end. Never forget-and hey, Five Guys and Zara, please read this as a cautionary tale. 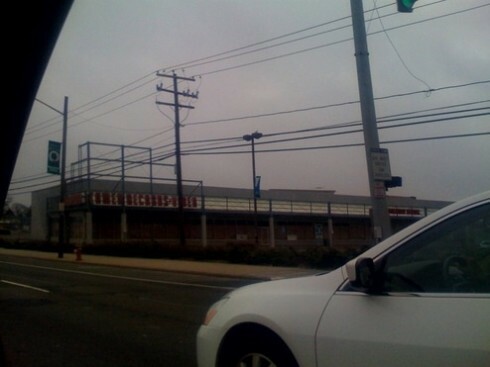 Circuit City, 2009. My only sentimental attachment to the electronics chain, which had a much colder faÃƒÂ§ade than the friendly blue hues preferred by its rival Best Buy, was its place as my sister’s first stop on our annual Black Friday trip around the local environs, which was only because it was the closest place to our parents’ house that had deals on DVDs. Yet the one thing that lives on in Circuit City’s zombie incarnation is its curiously stoplight-ish branding. Did no one ever think about the subtle “stop before you spend your money” messages that were being sent out there? Fortunoff, 2009. A northeastern chain that mostly specialized in the type of housewares that could be called “nice,” Fortunoff was a Long Island business that had been established in 1922; in the ’90s its branding was so entrenched in the Island’s culture that it was able to anchor a brand-new mall that was named after its slogan. (“The Source.”) The mall’s mix of outlet stores, upscale casual dining restaurants like the Cheesecake Factory, and a Jillian’s probably should have been a sign that Fortunoff’s premium pricing on jewelry, furniture, and wedding-registry-ready housewares would soon be out of fashion. In 2008 it was sold to the owners of Lord & Taylor, and it fell to liquidation earlier this year. Its anchor space at The Source is still empty, and the mall now claims a Dave & Buster’s as one of its anchors. Bennigan’s, 2008. OK, so I’m pretty sure I haven’t eaten at one since, like, high school. But you have to feel for poor Butters. Linens & Things, 2008. A casualty of both the housing bubble and its own debts. The assets of the company went from $1.3 billion to $1 million in the space of three years-because, as in the case of Circuit City, at the end, the only thing worth a damn was the familiar brand name. Tower Records. The most painful capsizing of all, occasioned by some completely dunderheaded corporate decisions, Big Music’s brief, ruinous love affair with serving as electronics stores’ loss leaders and a tanking economy for recorded music. The chain’s last days were characterized by carcass-picking of cheap discs that had once been priced at $18.99 and higher, which only added insult to injury. (Especially when I heard tales of people finding things for super-cheap that I’d purchased at premium prices back when I had the money to do that sort of thing.) Tower had been something of a social space for me, even though I rarely talked to people on the trips that my friends and I would take there; I would stalk the aisles in search of music I’d only read about, band names that were trapped in my memory being unlocked after sidelong glances at divider cards. When I went to Ireland in September, I was staying around the corner from an outpost of the store’s still-existent Irish arm. The last day of my trip, I finally got there when it was open-and upon walking inside and taking my first breath, I was greeted with the uniquely Tower smell of molding plastic and record-collector folly. It almost made me burst into tears.